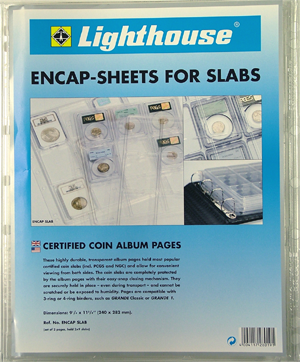 Lighthouse certified coin album pages are an excellent choice for certified coin holder display and storage. The Lighthouse company motto is “tradition and innovation.” With this brand you receive the benefits of over 50 years of experience in the numismatic industry, combined with the creative thinking that brings you the newest technologies in coin exhibition and preservation. 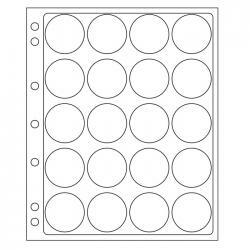 Lighthouse coin album pages have a convenient snap-close mechanism that safely holds most PCGS and NGC slab sizes for easy viewing from both sides, and are compatible with 3- or 4-ring style binders. 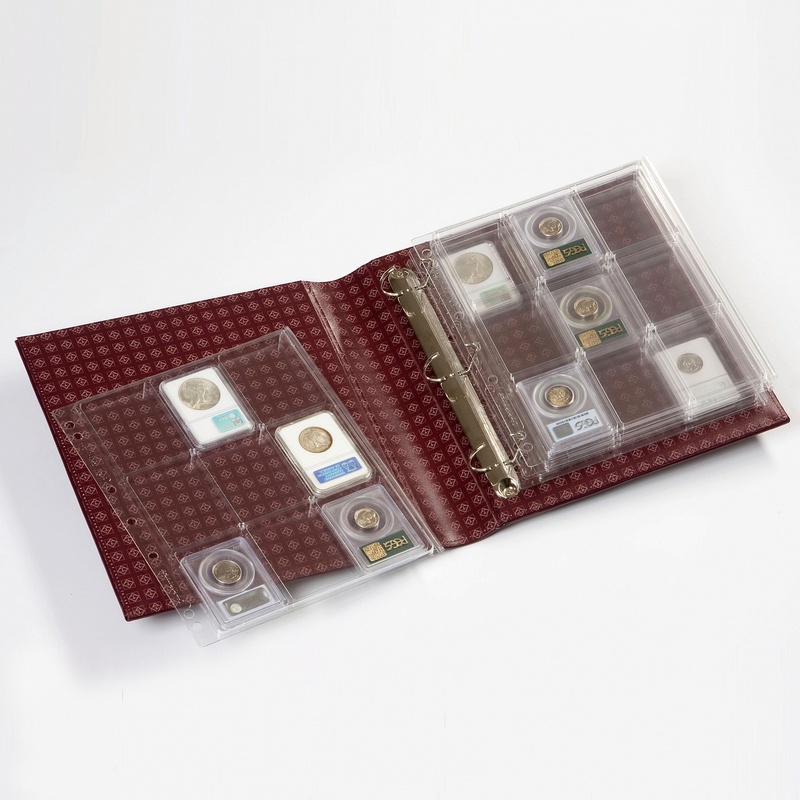 The design makes for extra-secure storage or transport for your special coins. You can’t go wrong with this long-standing, trusted brand. 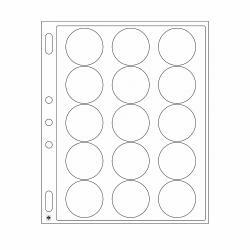 Wizard Coin Supply is pleased to recommend the Lighthouse brand of coin capsules, binders, coin albums, and coin album pages for your consideration. 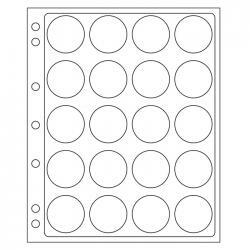 Don’t take any risks with your valuable certified collection pieces. 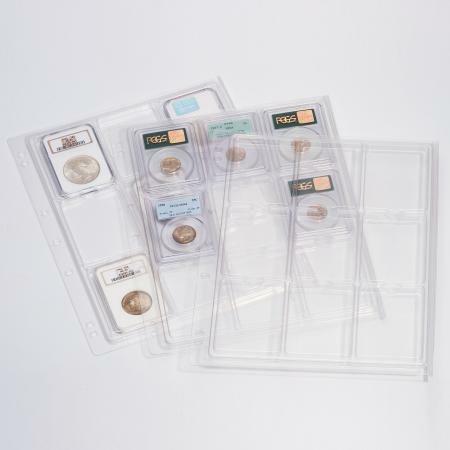 Find your certified coin album pages and other necessities for proper care of certified coins at Wizard Coin Supply. In uncertain economies, some of the most stable markets are in rare gold and silver coins. 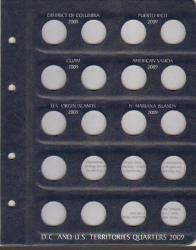 Protect that investment by making careful choices in the storage and maintenance of your collection. 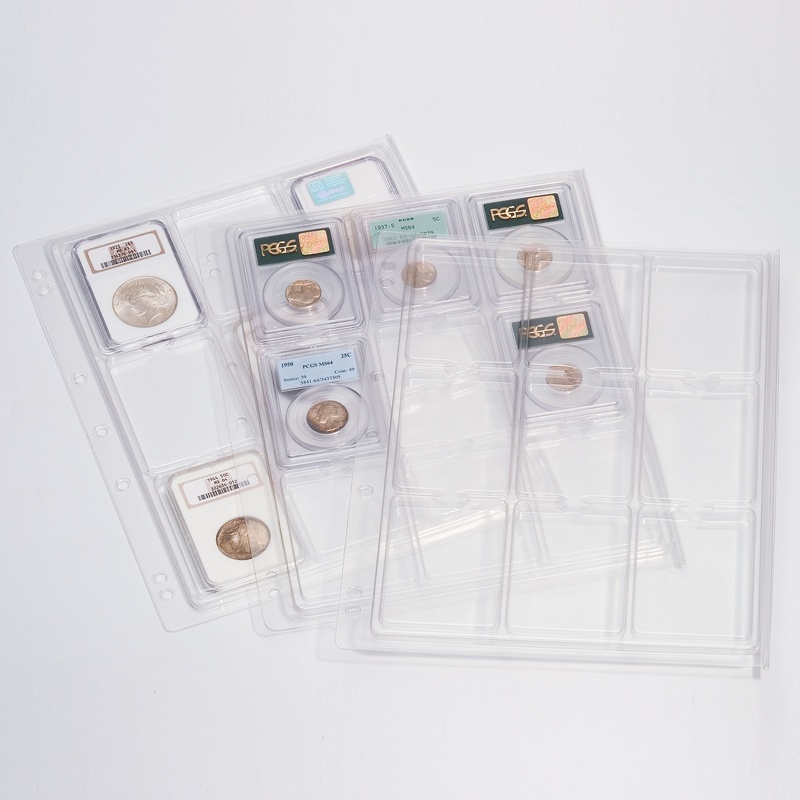 The Lighthouse brand certified coin album pages are the industry standard, with snap-close pages that securely hold certified coin slabs. You get double the protection from unwelcome corrosive elements and excessive handling. Just as every collection is unique, so is each collector. 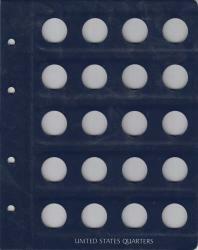 If you need guidance in choosing the proper supplies to complement and care for your collection, don’t hesitate to ask. We wizards are passionate about coins, and we are every bit as passionate about our customers. 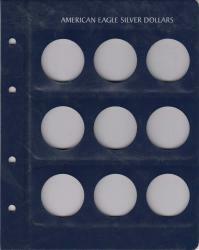 Sold in packs of 2 pages. 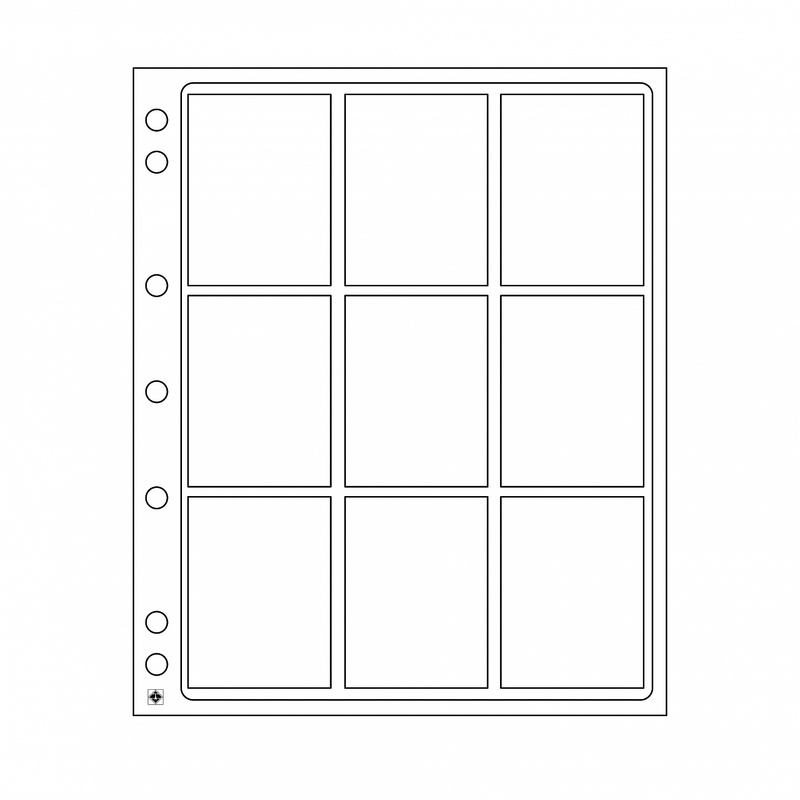 Nine slabs fit on each page.